Since our successful launch in the Netherlands, we have been working hard to prepare to launch in North America. On the 22nd April we go live. This is a special campaign and needs all the attention we can get. 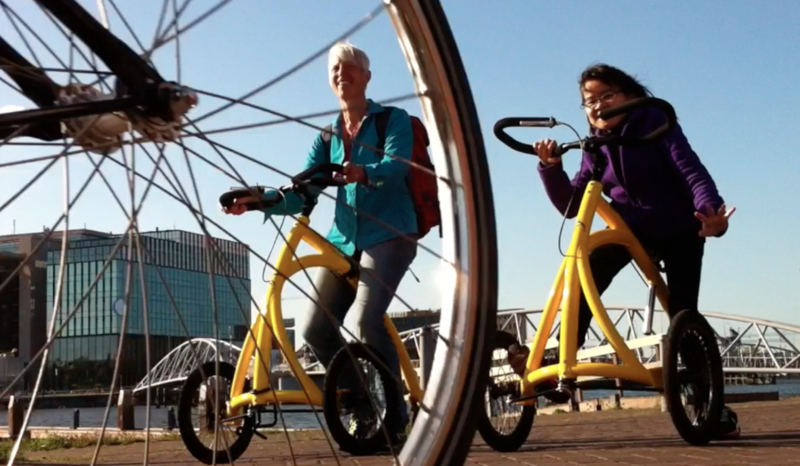 Vancouver's Barbara Alink was in the Netherlands a few years ago when her mother, who she was visiting, commented on all the elderly people they had seen on scooters and using walkers. "She said, 'Over my dead body will you get me into one of those." Alink said that made her realize how mobility devices can actually emphasize a person's disability. "And then she said, 'I'm afraid of becoming disabled and I don't want to be looked upon as I look upon them." That led Alink on a mission to come up with a better way to allow people to stay active, regardless of their mobility challenges. 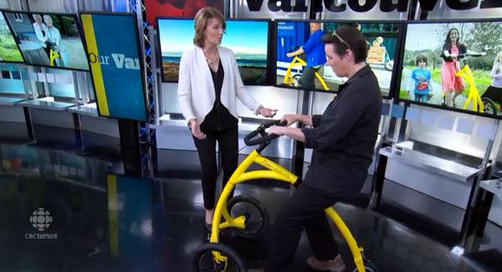 Alink will be speaking about her invention on April 23 at TedxEastVan, which is sponsored by CBC Vancouver. She said the device has made a big difference in the lives of those who have been testing it— as it allows them to stay at eye level. Some of the testers are able to visit museums for the first time in years. One of the testers is John Perry Barlow, lyricist for the Grateful Dead. He told Alink that this 'bike' is the most significant technological improvement since the computer. He is now able to "walk" around with it and go out of the house to the beach, or to concerts. The Alink is about to become more available. It costs $1977 US. One bike per every one hundred sold will be given to a land mine victim, including veterans who lost limbs to land mines. Barbara Alink spent many years in Afghanistan building schools before moving to Vancouver in 2010. In the video above Alink demonstrates her device to Our Vancouver hostGloria Macarenko. "The world needs more compassionate entrepreneurs like Barbara creating innovative solutions like the Alinker. SheEO is behind her 100%."